for $289,900 with 3 bedrooms and 2 full baths. This 1,993 square foot home was built in 1998 on a lot size of 87x142x120x135. 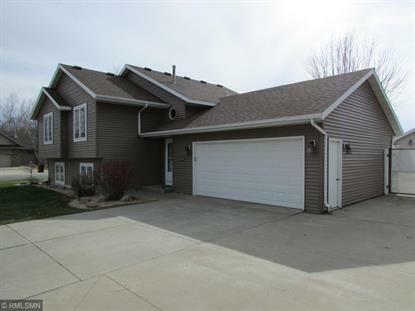 Fantastic 3 Bed, 2 Ba, 2 Car attached and EXTRA 26 'x 30' Insulated Detached Garage. Concrete 20' Maintenance Free Deck w/ New Vinyl Pergola(2018). All this surrounded by Maintenance Free 6' Vinyl Privacy Fence on a corner lot. Newer Roof and Siding and many updates inside including Tile Floors and Backsplash, Newer Carpet and Paint, New Refrigerator and Dishwasher(2019), New Patio Door(2018), New Garage Door (2017), and 6 Panel Oak Doors. Perfect "DREAM HOME" for the Person with Lots of TOYS!! None like it on the market. Short walk to Bonner Elementary. Hurry! Agent is related to seller.